Business Loan or Crowdfunding: Which is Best for Your Business? Business loans have existed for as long as there have been businesses. They were even discussed in the Bible. However, in the late 1990s, the world was introduced to the concept of soliciting donations online to fund events. In 2006, FundaVlog founder Michael Sullivan coined the term “crowdfunding” to describe this concept, and we’ve been using it ever since. Thanks to modern advancements in technology and the rise of the internet, businesses have more options for accessing capital than ever before. Business loans have traditionally come from banks, credit unions, and other financial institutions as well as from investors, family, and friends. But thanks to the emergence of online loans and other types of online financing such as taking a business line of credit, the process of obtaining a loan has become far less complex for businesses and individuals alike. In 2008 and 2009, sites like Indiegogo and Kickstarter turned crowdsourcing into a cultural phenomenon. During those years alone, businesses raised more than $500 million in collective capital. The timing couldn’t have been more fortuitous as business lending was becoming much tighter as a result of the U.S. economic collapse. Interest rates were on the rise, and borrowers were required to have nearly spotless credit. Crowdsourcing provided these businesses with an alternative means of funding. In 2012, President Obama signed the Jumpstart Our Business Startups (JOBS) Act into law. This initiative established legal boundaries and requirements for crowdfunding under the Securities and Exchange Commission (SEC) while making it easier for individuals to invest in small businesses. With the JOBS Act in place, investors are now able to invest in securities-based crowdfunding transactions with equity crowdfunding. When weighing the pros and cons of traditional business loans versus crowdfunding, it’s important to understand the requirements of each. With traditional loans, your business would be required to pay off the debt with interest over time. With crowdfunding, you can structure your campaign as either an equity or debt investment campaign. Debt campaigns are often referred to as crowdlending or peer-to-peer lending. With equity crowdfunding, you can sell some of your ownership in the company to obtain funding, or you can offer donors some type of reward, such as the product you’re selling. With crowdlending, the repayment terms are set by the crowdlending sites. Examples of such sites include Kiva and Funding Circle. With traditional lending, interest rates and lending regulations are set by the Federal Reserve. However, the final interest rate you pay is determined by your personal credit score and the credit score of your business. Business credit scores are provided through Dun and Bradstreet. Since the financial collapse of 2008, banks require business borrowers to provide a personal guarantee before they lend money, and it’s not solely based on the business’s financial information. The only fees typically associated with crowdfunding are fees charged by the crowdfunding websites. They normally take a small percentage of the total funds raised. Before you can acquire a traditional business loan, you’ll have to apply through a bank or other lender. The lender may require you to provide other prerequisites such as a business plan, tax returns, a down payment, and financial statements. You’ll also need to have the 4 Cs of credit: credit, collateral, capacity, and capital. The application process can take anywhere from one month to three months. With crowdfunding, campaign lengths are set by the platform being used. The business in possession of the campaign decides which length of time is best. When you apply for a bank loan, the bank may specify what the loan proceeds can be used for. With crowdfunding, you have the freedom--and the responsibility--to notify donors of how the funds will be used. Some platforms may only release funds raised to a business if the business meets the goal established. Some platforms may release funds raised to a business even if the business doesn’t meet its established goal. However, raising funds through crowdfunding typically is quicker than the traditional loan application process. A business plan shows a bank lender how the business intends to generate revenue and how it will pay back the loan. This requires a lot of forethought but not a lot of marketing savvy. However, with crowdfunding, businesses have to have great marketing in place. As mentioned earlier, some platforms will dismiss all funding if the business doesn’t reach its full goal. Therefore, you have to put in some work to draw people to your crowdfunding campaign. You also have to have something that intrigues people. Crowdfunding can be a powerful fundraising tool for 21st-century businesses. Traditional loans are still more difficult to acquire than they were prior to the economic collapse of ‘08, and women-owned businesses and minority-owned businesses still struggle to achieve equitable access to capital. With that in mind, there is tremendous demand for alternative sources of funding. This is where crowdfunding truly shines. Nevertheless, it’s usually not a good idea to rely solely on crowdfunding; it’s important to have other resources lined up as well. With multiple income streams, you can build a financially stable business and avoid becoming overly dependent on any singular investment. 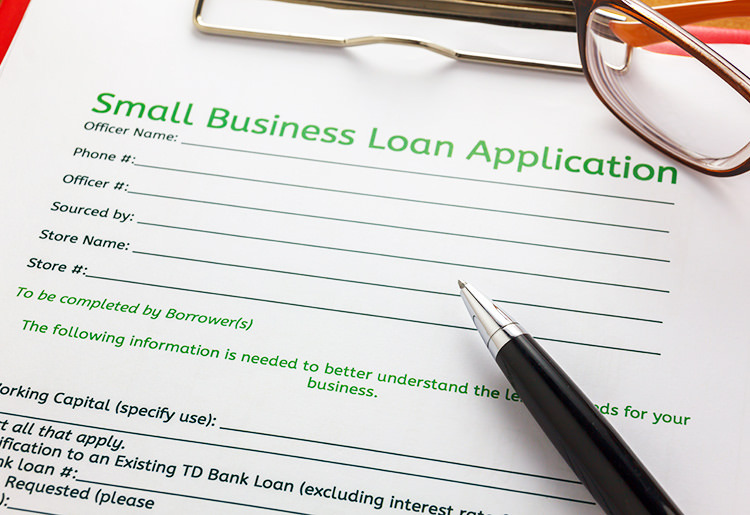 For more resources and information about business loans, please check out our list of the best small business loan providers.